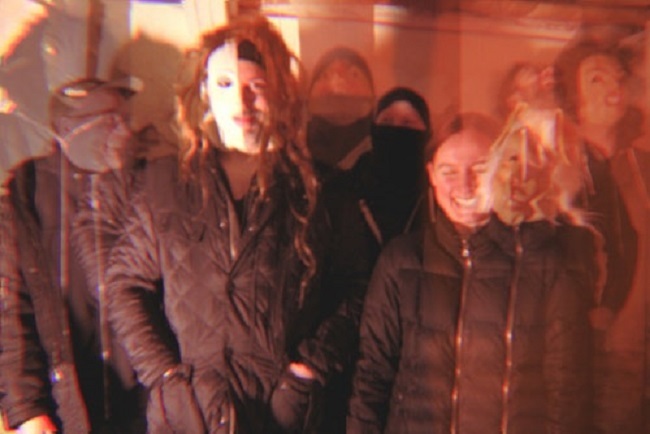 If you’ve been listening to ‘Panic Blooms‘ non-stop this year, you’re in luck: Black Moth Super Rainbow are taking their sixth studio album to the stage with a 2019 American tour. The experimental project led by singer/songwriter TOBACCO will begin touring March 22nd in Nebraska and find their way through most of the west by hitting places such as Las Vegas, Phoenix, and Dallas. Earlier in 2018 the band was opening for Nine Inch Nails’ European tour, when the dystopic ‘Panic Blooms‘ was released (Tobacco later solely opened for NIN during their US leg). Prior to seeing them in concert, be sure to check out TOBACCO’s new upcoming project with Aesop Rock, Malibu Ken, whose debut album has just been released. You can find all the Black Moth Super Rainbow tour dates below, along with their track ‘Baby’s In The Void‘.